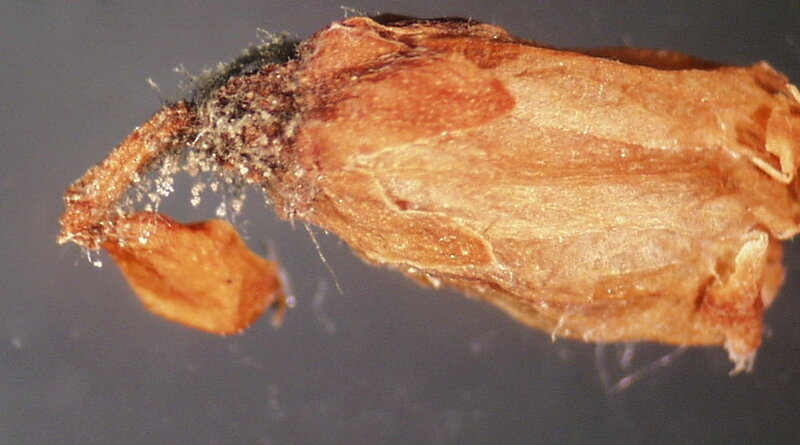 Time to start looking for Botrytis in your fields. Botrytis kills almost open (pink stage) and open flowers. There may be only a few flowers in a cluster or a few clusters of flowers on a stem that are infected. The characteristic sign of the fungus is black hairs (often with gray spore masses at their tips) sticking out from the dead flowers. Please see pictures below. You may need to use a magnifying glass to the see the hairs on the flowers. Flowers will also die from mummy berry disease, but those dead flowers do not have any hairs and often die before they open. Where Botrytis infection is found in a given year is highly variable and dependent upon local conditions in the field. Botrytis can attack multiple plants and so levels of disease in a field depend on how much Botrytis is occurring on other plants in the field and surrounding it. In most fields, the amount of disease varies every year. Fields with very heavy damage in a crop field one crop cycle may have none or very little infection two years later. 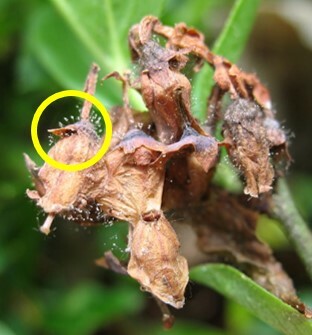 Whether this fungus is a problem can be detected by looking for Botrytis infection in early blooming clones from which the fungus can then be spread to other clones if there is enough wet weather. I do not recommend protective fungicide sprays for Botrytis unless you are absolutely sure you have symptoms in your field and a lot of wet weather is forecast for your field during bloom. Spraying fungicides during bloom should be avoided if at all possible.